AFL 9’s is the AFL’s official social version of the game. It’s a fast, free-flowing game that involves 9 players on each team playing on a smaller field. Best of all, it’s ‘touch football’ with no tackling or bumping, making it suitable for people of any age or skill level. AFL 9s has many applications in the community, particularly in school and social environments. 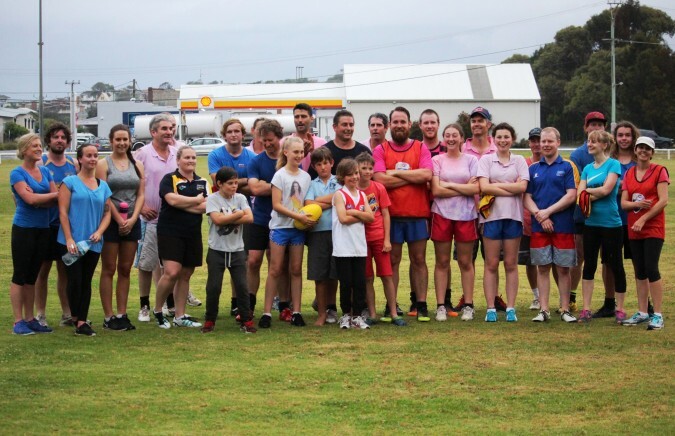 Fundamentally, AFL 9’s enables people of all ages and ability levels to participate in male, female or mixed competitions that fit around their busy lives and provide a social and fitness outlet. AFL 9’s is a semi-contact version of the game which requires players to implement a touch in place of a tackle. With the ACT and NSW leading the way in AFL 9’s the Sapphire Coast currently has centers in Bega, Bermagui and Moruya!